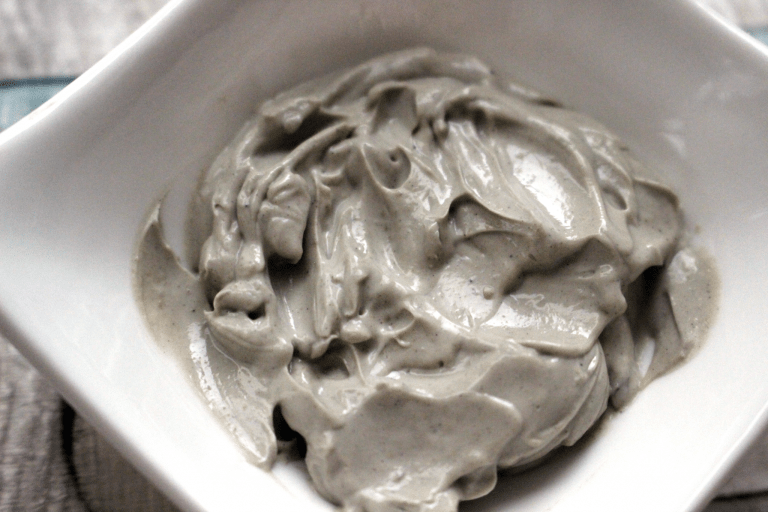 Try this super simple DIY mud foot mask recipe that calls for just a few ingredients that will detox your body and leave your feet healthy and soothed! Recently I was camping at this beautiful campground in Central California that happens to be a very popular dirt bike and ATV riding area. And, after a day of rain, the trails were perfect with just the right amount of mud to entice all the riders to cruise around and make a mess. Although I’m not a rider myself, I enjoyed watching and as I sat there seeing clumps of mud fly around and people getting cloaked in a thick layer of gooey brown, I began to think of all the cool ways mud can be used beneficially on the body! And while face masks are often one of the first uses that comes to mind, what about a mask for the feet?! Bentonite clay is one of nature’s muddy gifts to us with the power to do amazing things for our entire body. Because it contains negatively charged ions, bentonite clay binds to positively charged things in and on the body like toxins, chemicals, heavy metals and bacterias, and can thus help to gently remove them. As our feet have long been thought to be a portal for detoxification, massaging bentonite clay into the feet and allowing it to work it’s magic will be just the ticket to kick off a spring detox! The acidity of lemon juice will brighten the skin and nails and coconut oil will nourish and moisturize dry skin. In a mixing bowl, combine the bentonite clay powder and water and stir until it becomes thick and clay-like. Then add in the lemon juice and coconut oil and stir again. It’s best to be in or near the bathtub or access to rinsing your feet as once the mask is on it will be difficult to walk around. Start by rinsing the feet with warm water then gently massage the mask onto both feet and allow to sit for 15-20 minutes. Once the mask is completely dry and hardened, rinse with warm water and pat dry.